The first Sella hut, built by the CAI chapter in Biella in collaboration with the CAI chapter Varallo Sesia, was opened on August 15, 1885 and was named after Senator Quintino Sella, founder of the CAI, who died in 1884 in Biella. 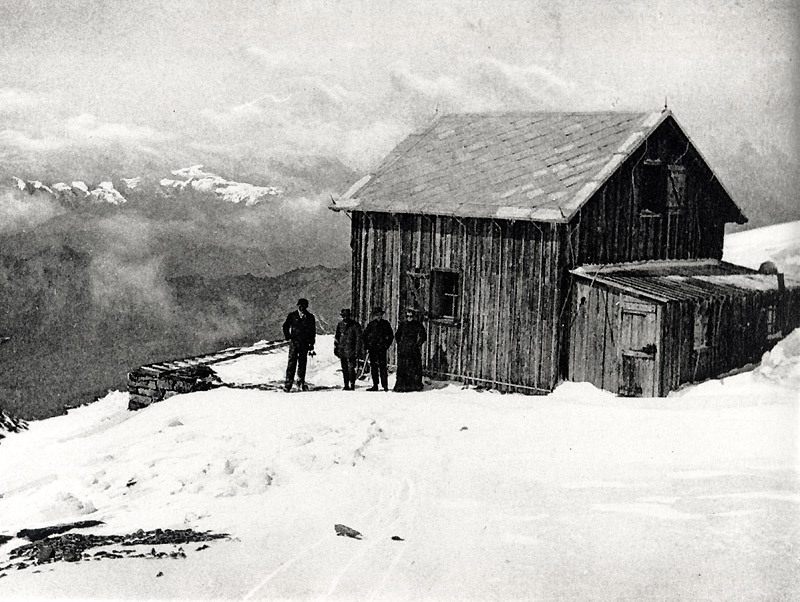 The hut, built by hotelier and carpenter of Gressoney Daniele Thedy, was constructed entirely of wood and could accommodate about 15 people. The 1,850 kg of necessary building materials were transported up to Colle Bettaforca by mules, and from there workers carried everything on their shoulders. The total cost of the work was 1,388 lira. In 1904, given the precarious state of the building “ruined by weather and the neglect of visitors,” the Biella chapter of CAI decided to rebuild it. 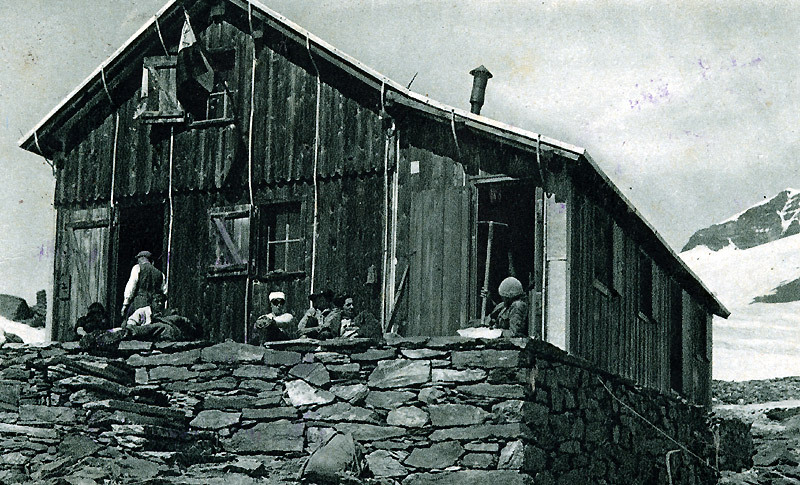 The task of building a new wooden hut was given to Floriano Lateltin of Gressoney. 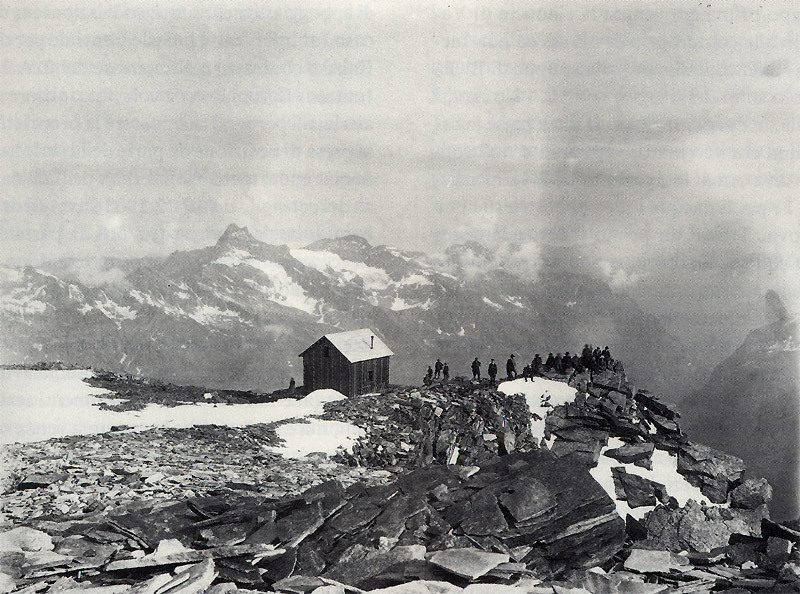 The construction was moved to the plateau at a slightly higher altitude than the previous hut, and was opened on July 22, 1907. 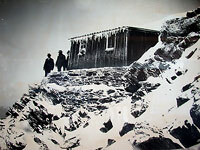 The hut’s first custodian was the mountain guide Giovanni Guglielminotti of Alagna, nicknamed ‘The Blond’, and in 1910 the old hut was dismantled and relocated to the be closer to the new hut in order to be used as lodging for the custodian of the property, and to protect it from being destroyed by bad weather. That same year, the custody of the refuge was taken over by of Giovanni Roveyaz, together with his children Marino and Camillo. They ran the ‘Sella hut’ like it was a way of life; they were, in fact, the hut’s caretakers for 60 years. 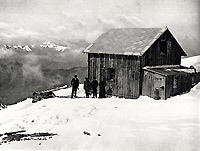 After the “Great War,” given the influx of determined guests and the rapid development of mountaineering, the hut began to prove insufficient. 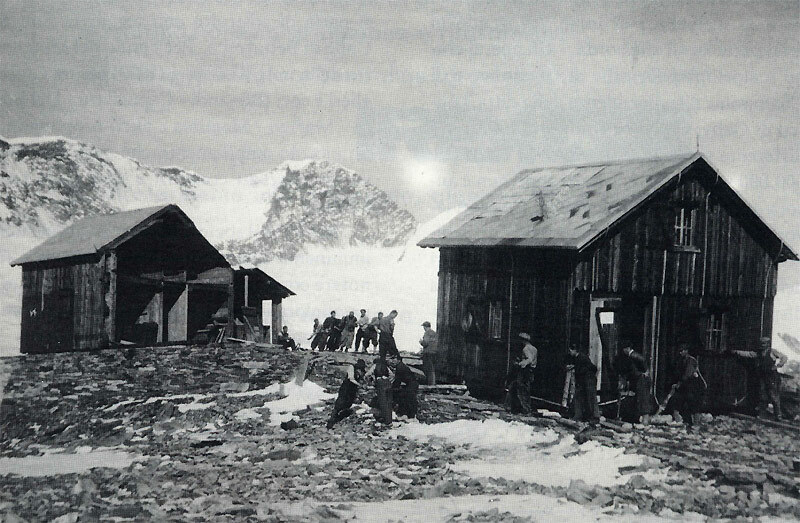 In 1924, a new addition was completed that doubled the length of the hut and added two lateral buildings: one was a new construction and the other used the old hut from 1885. In 1936, a great event put the integrity of the hut in jeopardy. The night of August 4th a huge huge landslide, estimated at more than 200,000 square meters, broke away near the refuge and plunged into the valley of Ayas, reaching Alpe di Verra after traveling more than 3 km and with an altitude drop of 1200 m. The landslide almost completely buried a mountain pasture, killing 24 cattle. Three mountaineers, who were in the pasture, were saved by a miracle. Given the danger of another landslide, which could bring the hut down with it, the hut was immediately moved to a safer location, which took over a month of hard work. 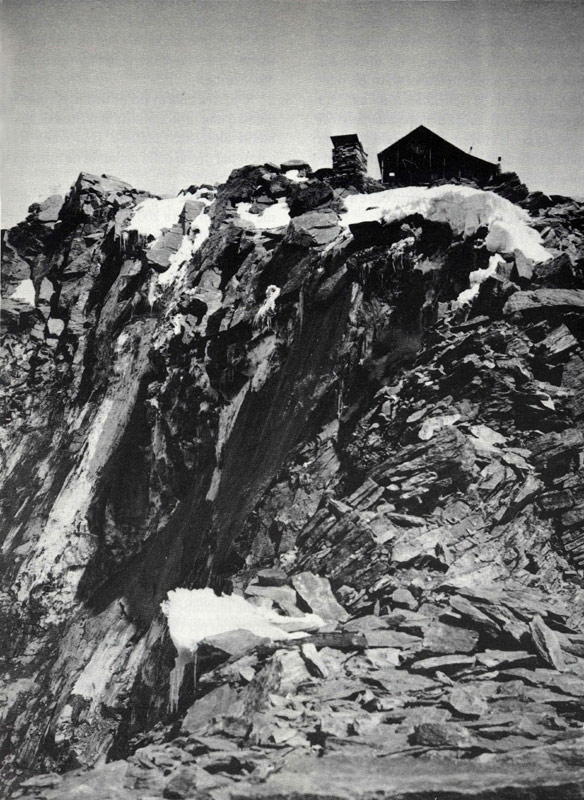 With time it was recognized that the hut’s new position was not safe, and in 1945, at the end of World War II, further geological disturbances were detected. 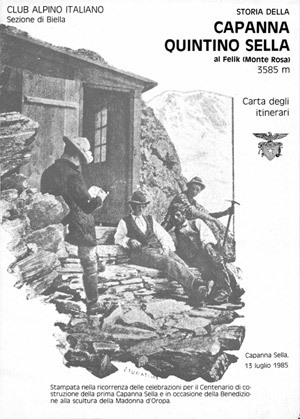 This persuaded the local chapter of the CAI to carry out a news and significant displacement of the hut, to place the structure on a solid bed of rock. The hut was thus moved to its current location. Located in a safe place, the hut continued its service until the early eighties. By now, the times were changing. In 1974 SIP installed a telephone connection via a radio link to the national network, and in 1977 a chairlift was built that traveled from the village of Stafal in Gressoney-La-Trinité to Colle Bettaforca, thus halving the time to reach the refuge. Also in 1977, Luciano Chiappo became the chairman of CAI in Biella by promoting the new hut. Thus began the studies for the realization of this ambitious project and the search for funds necessary to complete it.